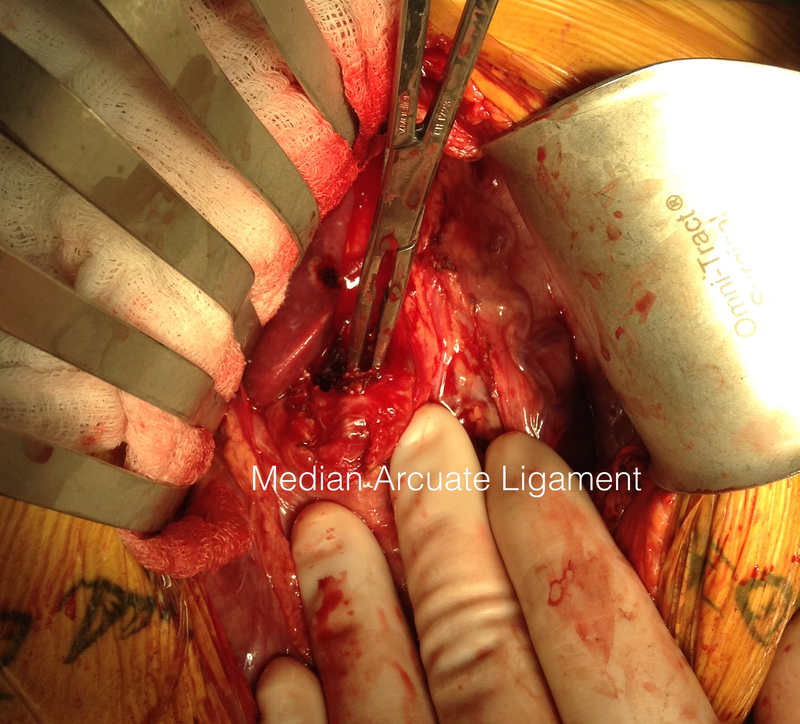 This is a picture from several years ago when I released the median arcuate ligament with open surgery. Seen tented up by the right angle clamp is the fibromuscular tissue over the celiac axis. You can also see a cord of celiac plexus, which gives the foregut somatic sensory innervation. It is becoming clearer that MALS is a nerve compression syndrome in the same way that carpal tunnel compression of the median nerve or thoracic outlet compression of the brachial plexus causes pain. Like nTOS, the arterial compression is a bystander, but a necessary finding in the diagnosis. 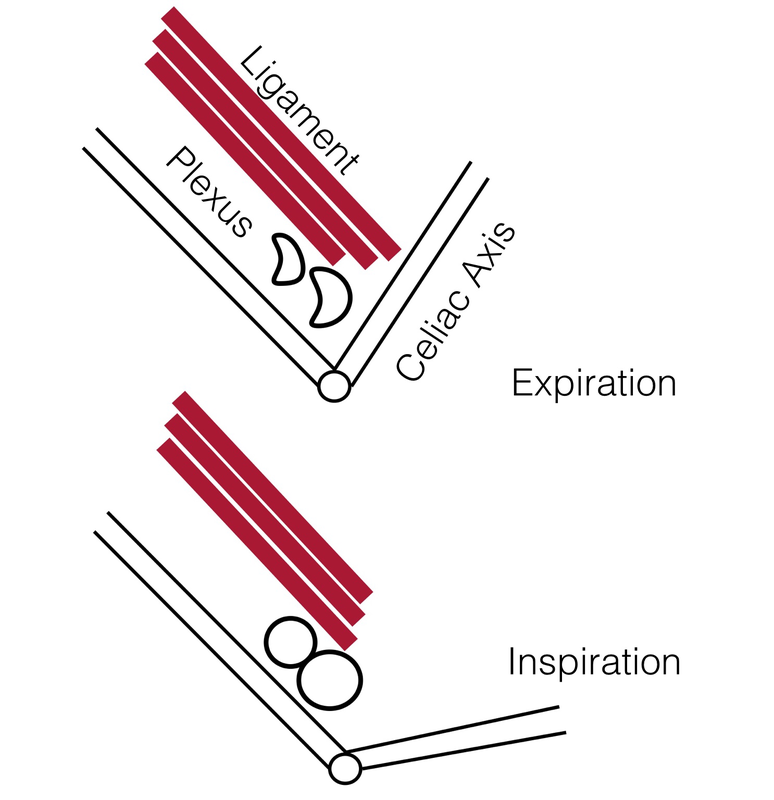 The celiac axis and median arcuate ligament acts as a nerve compressor. This is why people with MALS respond to celiac plexus block and why it makes sense they don’t have mesenteric ischemia.